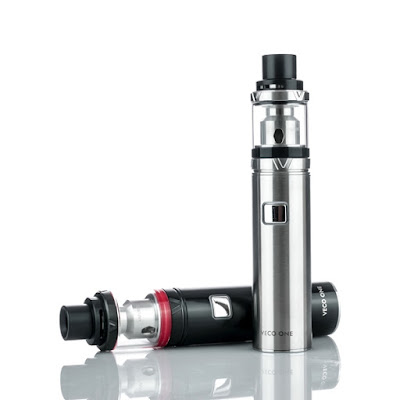 VECO ONE Kit by Vaporesso is sleek in design and smooth in airflow. It adopts the ECO Universal Coil (EUC) so that you only need to replace the coil head ( EUC ) inside without changing the metal sleeve (EUC Sleeve) that is truly ECO friendly and makes vaping more affordable. Top airflow and top fill makes it easy to use. There is an accessory kit for a larger glass tube and adapter available.that you could turn the tank into bigger capacity as needed. It is easy to carry around, while its 1500mAh built in battery is efficient and powerful. VECO ONE, The One for you! 1.Switch On/Off: Press the fire button 5 times in quick succession within 2 seconds to turn the device on. In the same way, the device will be powered off after 5 presses. 2.Vaping:Hold the fire button and inhale through the mouthpiece. Release the fire button and exhale. 4. Filling E-liquid:This easy top-fill tank will only ask of you to screw out the lid and fill in the chamber when the base is securely shut. Be sure to safely position the glass part when this process is in place to avoid spillage. 5. Changing Atomizer: Unscrew the base to simply remove and insert a new atomizer whenever needed. Pull the EUC out from the base and insert a new one. Screw the Base on. Wait after replacing to make sure the coil is well primed. 6.Charging: Simply charge VECO ONE Kit by connecting it with a computer or a wall adapter via USB cable. When it's fully charged, the button light will go out. 1.When the short circuit occurs before working, the button light flashes for 5 times and there will be no output power. 2.Low Wattage Protection When the battery voltage is lower than 3V, the fire button light flashes for 3 times and the battery will be locked. 3.Over Vaping Protection When the fire button is pressed for more than 10 seconds, the light flashes 3 times then goes off. The battery will be locked. 4.Low Battery Protection When the battery is less than 10%, the light will flashes till it goes off completely.